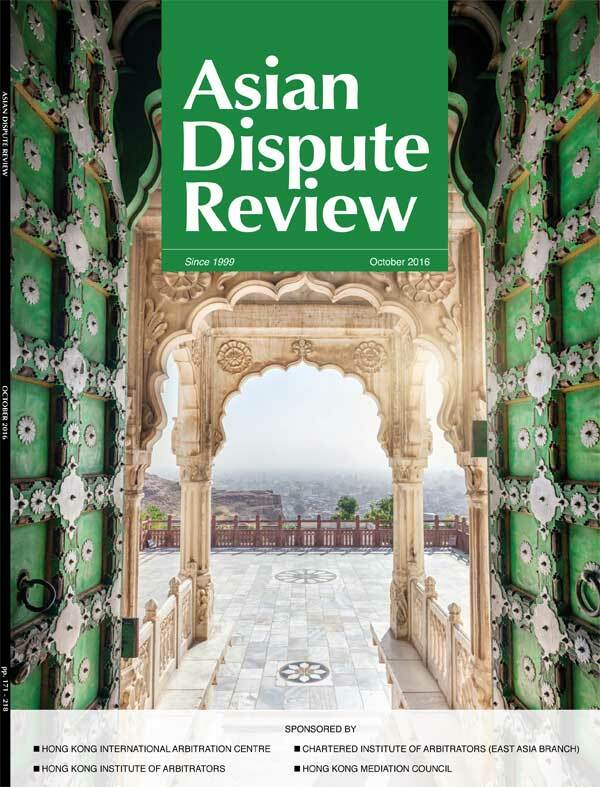 We are delighted to announce that this October issue marks a major new phase in Asian Dispute Review's development. A new structure has been put in place that emphasises the quality and international nature of the Review. We now have two new oversight bodies – a Supervisory Board, which will provide valuable direction from our sponsoring organisations, and a distinguished Editorial Advisory Board that will support the Editorial Team with guidance on matters of substance. We look forward to working with both these new bodies to improve further the management, range and depth of articles and the relevance of the Review. This edition commences with an article in which Eun Young Park and Joel E Richardson consider how to strike a balance between the competing interests of speed and fairness in emergency arbitration. This is followed by an article by Matthew Secomb, Philip Tan and Thomas Wingfield which compares Singapore’s recent proposals to legalise and regulate third party funding in international arbitration against regimes already established in england & Wales and Australia. Nish Shetty and Romesh Weeramantry explore India’s position in seeking to renegotiate its bilateral investment treaties. Our ‘In-House Counsel Focus’ article by Kim Rooney looks at efforts by UNCITRAL to prepare a convention on the enforceability of settlement agreements reached through international commercial conciliation. In this issue, we are pleased to introduce a new Jurisdiction Focus section, which provides readers with recent updates on developments in jurisdictions in Asia. The first update is by Dr Michael Hwang SC and Divyesh Menon, who review recent case law and institutional developments in Singapore. Finally, Robert Morgan reviews Dean Lewis’ latest text, The Interpretation and Uniformity of the UNCITRAL Model Law on International Commercial Arbitration - Focusing on Hong Kong, Singapore and Australia.